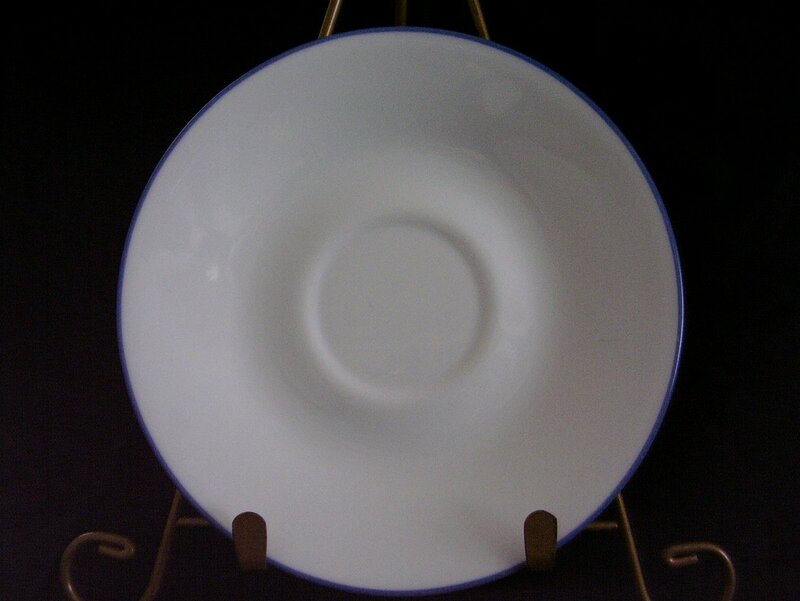 Corelle Fruit Basket saucer. 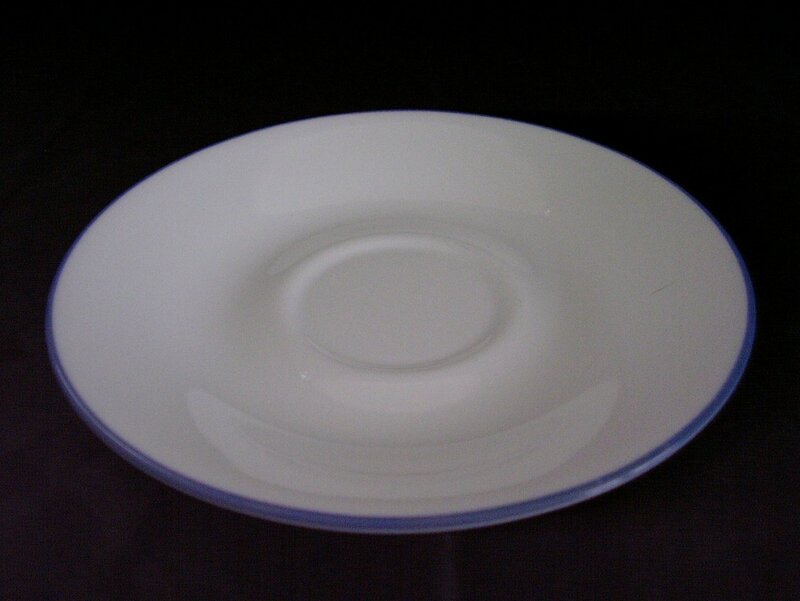 The saucer is white with a medium blue band on the rim. Appears to match Fruit Too and Fruit Mix and Match patterns. Microwave and dishwasher safe. Corelle Fruit Basket saucer. The saucer is white with a medium blue band on the rim. Appears to match Fruit Too and Fruit Mix and Match patterns. Microwave and dishwasher safe. In very good used condition, it has no cracks, chips or scratches. Decals are bright, shiny and intact. Measures 6 1/4 inches in diameter. There are extras available.